Warning: In winter, it's not possible to go there by car. Please go there by bus. (there is no parking available because of snow). 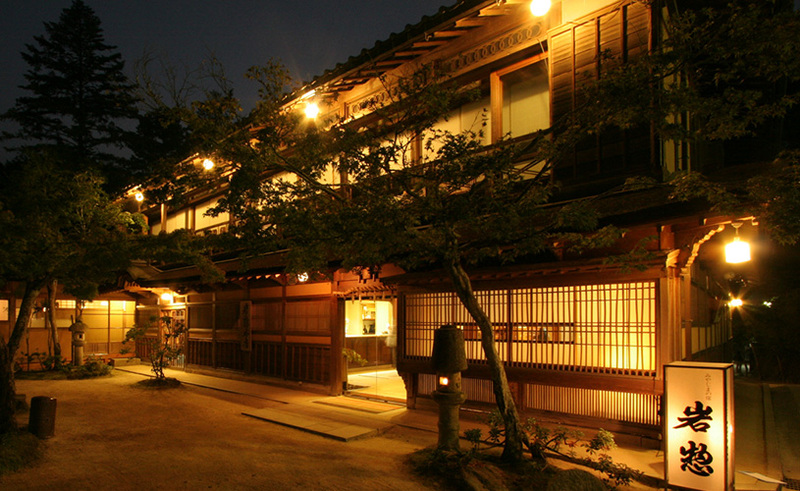 Koemon is a cosy, clean and central guesthouse. We totally enjoyed our stay. The food was awesome and I think the value is unbeatable. It has everything we needed and staff tried their best to help. One of a kind of experience. 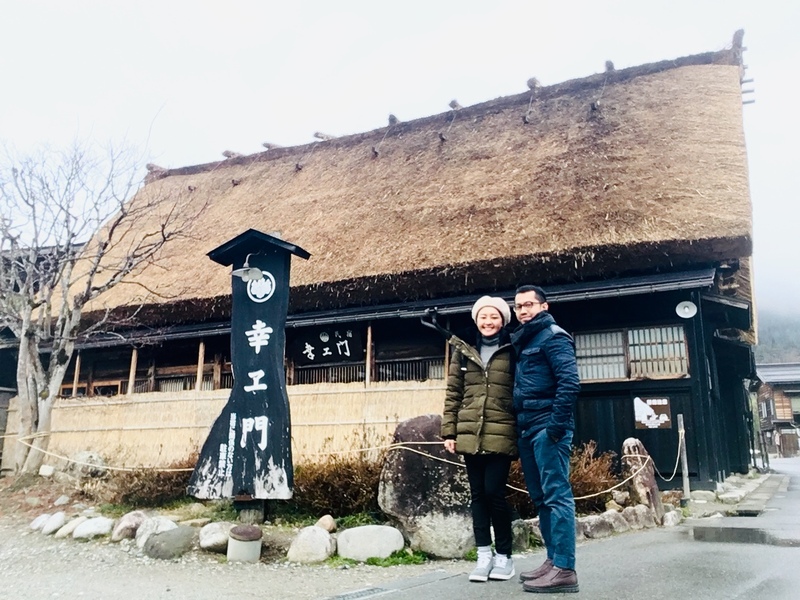 My wife and I had an awesome stay at Koemon. We visited the site in early December 2018, there hadn't started snowing yet. We checked in our luggage and explored around the place. 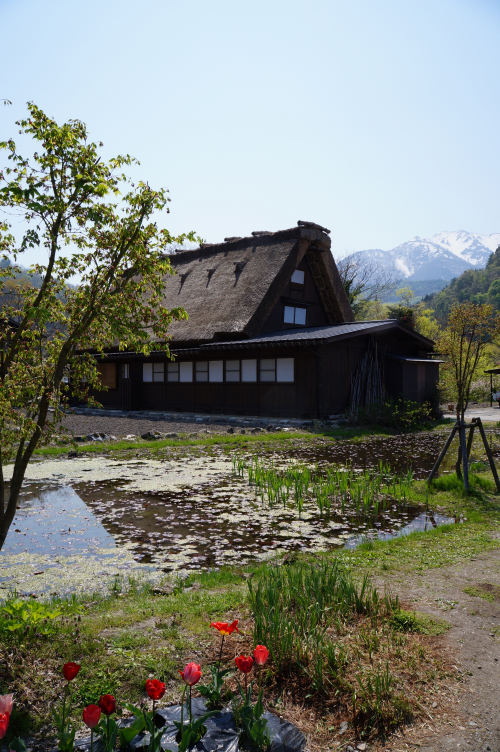 The house is very accessible via the main road of Shirakawa. The food (dinner and breakfast) provided was simply superb. The entire place makes you feel right at home. 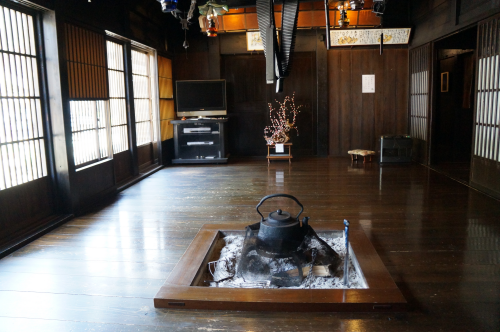 Koemon is a beautiful property, with dark hardwood floors and a traditional common room where meals are served. 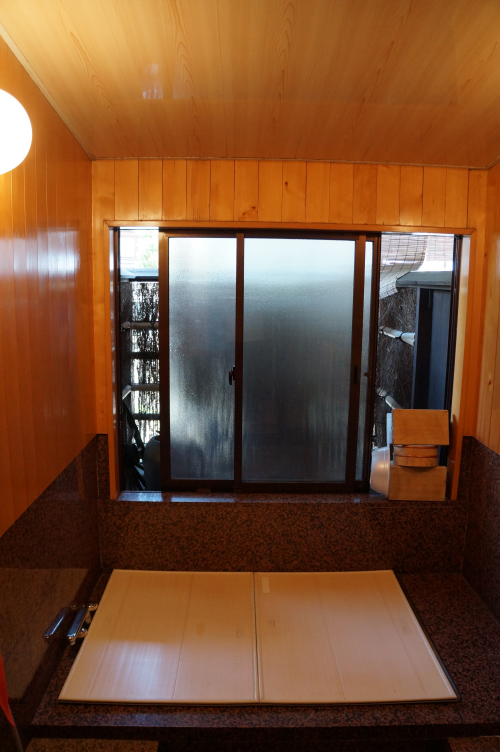 Rooms are traditional ryokan rooms, spacious enough, without toilet or bathroom but with beautiful views. Dinner and breakfast are included, and they are great, tasty and traditional, served in the common room by the owner. Toilets are shared, at a corner of the house down the hall from the rooms. The only unpleasant detail was that shower/bath times are very restricted: one cannot shower in the morning. Only at night, in the single bathroom that also contains a small hot tub. Management's reaction to our timid attempt to shower in the morning bordered on rude. On the other hand, the guests receive a pass for the town's onsen, which is great (about 600 metres away); but also has restricted hours. Pasamos una noche en Koemon y fue una experiencia magnífica. Desde el alojamiento en si mismo, céntrico, bonito (solo paseando te fijas, seguro, en él) y histórico, hasta la habitación y la cena y desayuno. Especialmente buena y abundante esta última. La propietaria del alojamiento muy amable y educada y con un nivel de inglés por encima de la media en Japón. Sin duda lo recomiendo a todo el mundo que quiera una experiencia diferente. Además quedarse a dormir es una buena opción para estar en el pueblo a última hora de la tarde y a primera de la mañana sin las aglomeracions de turistes que pasan unes horas en Shirakawa-go, que es un pueblo muy pintoresco. We enjoyed our stay at Koemon. Staff was very kind and welcoming. It was a nice experience staying in a traditional gassho house. The house was charming, clean and well maintained. We got dinner and breakfast, I have to say the food was delicious, I loved that they introduced us to many different local ingredients. The only thing we did not enjoy was the futon, it was really thin, it felt like we were sleeping directly on the floor and it was very uncomfortable. We realized it was uncomfortable late in the night, but to be honest we did not think to ask the staff for a second futon. 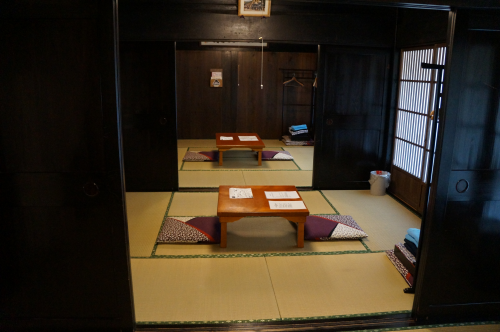 Apart from the futon, we really liked staying at Koemon. 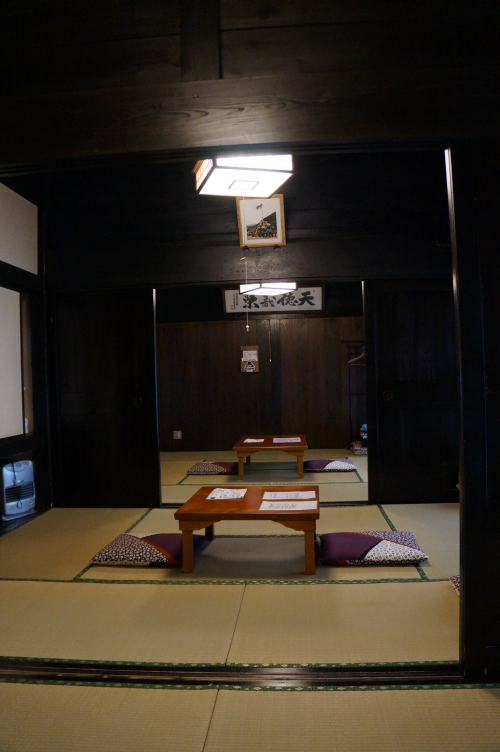 We (6 of us) were pleasantly surprise and delighted with our stay at Koemon. The owner was very attentive to our needs and made sure that we had enough rice for dinner and breakfast since being Indonesians, rice is our staple. The facilities were very clean. Umbrellas and snow boots were available for our use and proofed to be very useful in heavy snowfall which occurred during our stay. Highly recommend this minshiku. My partner and I had a fantastic stay at Koemon in December, 2017. Booking through Japanese Guesthouses was simple and we received responses to our queries very promptly. The stay itself was fantastic, the house itself was warm and welcoming after coming in from the snow. 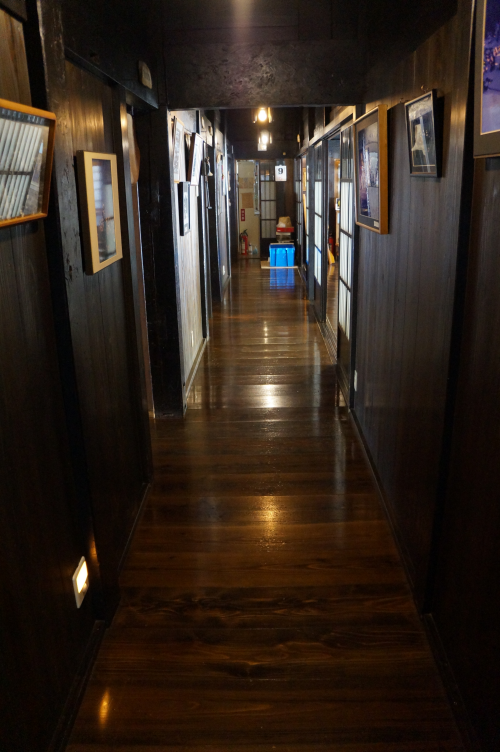 It was extremely clean and well maintained and the food served at both dinner and breakfast was delicious and offered an opportunity to sample traditional Japanese home cooking. We were very impressed by the hospitality shown to us here, with an English speaking host who went out of her way to make our stay as comfortable as possible, even offering snow boots which were very much appreciated!! Would highly recommend staying at Koemon! We had a wonderful stay at Koemon. 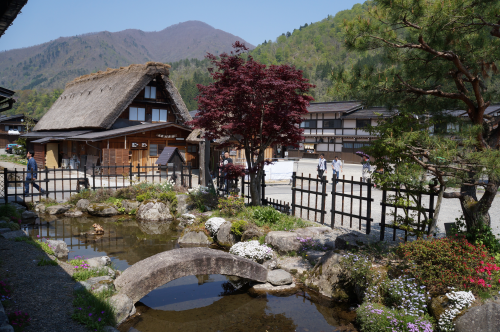 Ogi-Machi is a beautiful little town and well worth seeing. The room was a traditional Japanese room with a very comfy futon. Dinner was served in the dining room in front of the fire with the kettle on it. We had let them know in advance that one of us was vegetarian, and they catered to that perfectly. I'd highly recommended visiting ogi-machi and staying at Koemon for a night at least for a wonderful traditional Japanese experience. My mom and I stayed at Koemon for 1 night and had a wonderful experience. The Ryokan was stunning. We really impress every room of the ryokan. The bed room was a Japanese style room. The bathroom was Japanese too. We soak in a warm bath and felt really comfortable. Dinner was so nice as you will see in the photo. We really enjoyed with breakfast as well. The scenery of the town was beautiful. 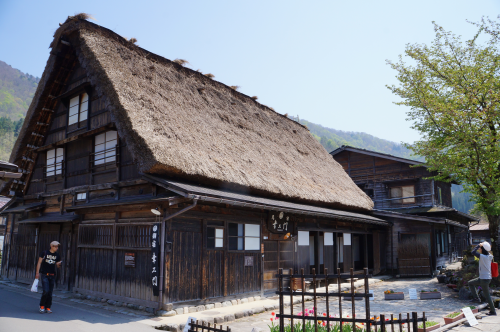 I definitely recommend you to spend time at Shirakawago at least for 1 night and you will enjoy it. I was travelling alone during this trip and stayed a night at Koemon. I had a really wonderful time here. The meal was very delicious! And the location of the minshuku was great! Definitely recommend for an overnight stay if you visit Shirakawago during winter time. The location is super good, one minute walk from the bus center. The room is superb and the food is a huge bonus! I still feel the miso dish that we had for breakfast was the best I had in Japan. We did not take the bath since in Japan the bath water is shared by the whole family. It should be clean, though, because everyone take the bath after a separate shower. You should also ask for the coupon for the hot spring bath that can be found at the other end of the village. Again we didn't go because we were too tired. Overall we had a great time and the night at Koemon is worth every penny. 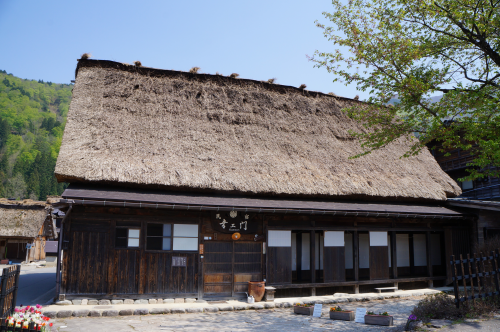 Wonderful Gassho-Zukuri traditional house with lovely Irori. The dinner was delicious, housekeeper was friendly. I definitely recommend you to stay at least for 1 night and you will enjoy it. We had a wonderful time at Koemon in the traditional ryokan. Although we arrived early, the owner checked us in and allowed us to park in the lot. Extremely convient! Dinner & breakfast were the best meals we had in Japan. Both were vegetarian, as requested (note that fish broth was consumed). Ogi-Machi was my favorite of the Gasso-style villages, easily spent 1.5 days here. Some confusion over the bathroom vs. toilet - bathroom (shower/bathtub) use limited to evening. Our stay at Koemon was fantastic. The family was extremely nice and welcoming, the ryokan is beautiful and the food was superb. All of these elements together made the experience unforgettable and one of my favorite in Japan! I highly recommend this experience and Koemon is a lovely and welcoming Ryokan. We stayed at Koemon for 1 night. Booking through Japanese Guesthouses was easy. The house itself was very charming, clean and well maintained. We loved our room which faced the pond. Even the bathing room was nice and spacious. Food was delicious, both at dinner and breakfast. One of us was vegetarian and that catered to perfectly as well. All in, a great experience. December 2014 was when Hokkaido was battered by a winter storm it had not seen in years. Huge amount of snow as well fell in central Japan. We managed to make it to the Ryokan and leave the next day on the earliest bus amidst route closure and trip cancellations. These were made possible by the owner who helped us with some travel re-arrangements. Marco and Vincent were helpful as well in this chaotic situation. The food was among the most delicious meals we have had in Japan. The atmosphere, the ambiance, the bath before the meal, the creaking sounds of old wooden structures all add to the authenticity of this experience. Mr. Otani and his family has been in business for nearly 40 years, they really do know how to make you feel comfortable away from home. My wife and I had a wonderful stay at Koemon. It was easy to locate. A short distance after the bridge.The owner allowed us to checked in early before time. 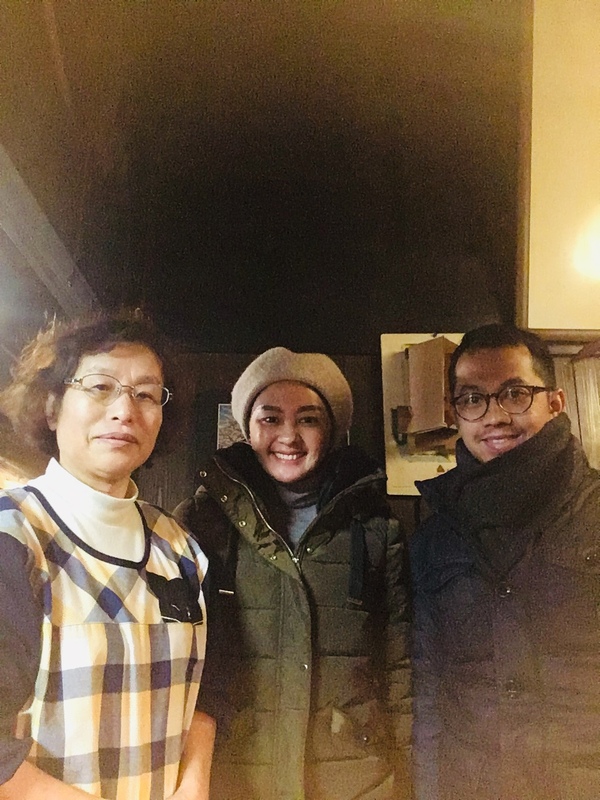 Best meals we ever had in Japan.Snow boots were provided and the owners were friendly. Will definitely stay here for next visit.